As a supplier, you're always on the lookout for new retailers to partner with. 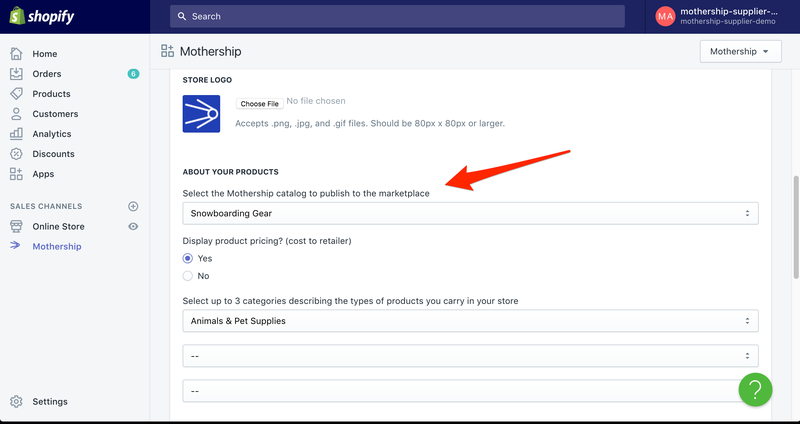 Listing your products in the Mothership Marketplace is an easy way to let other merchants know that you're open for business. Follow these steps to create a listing in the marketplace. 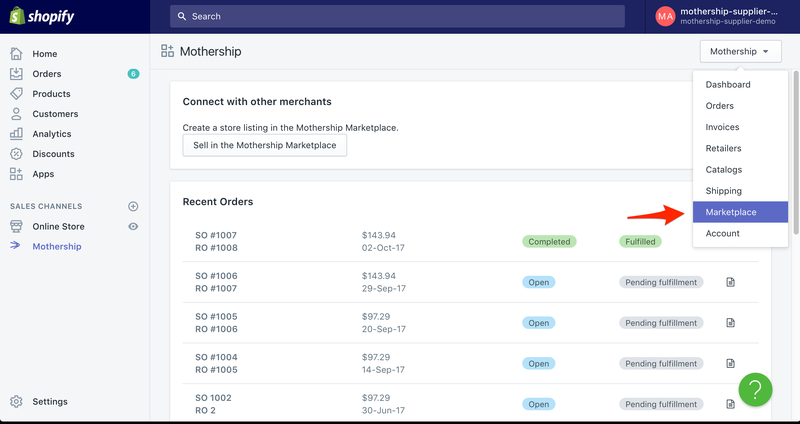 Open up Mothership from your Shopify admin panel. Click on the Mothership dropdown in the top right and select Marketplace. Next, fill out the form. Retailers will be able to view the responses you put here, so make sure you sell your business. Also, you'll want to select a catalog to publish to your listing. Doing this lets the retailers browse through the products in your catalog and gives them a good sense of the kinds of products you carry. When you're done. Click on the save button at the bottom of the form. You can preview your listing by clicking on the 'view listing' link at the top of the form. 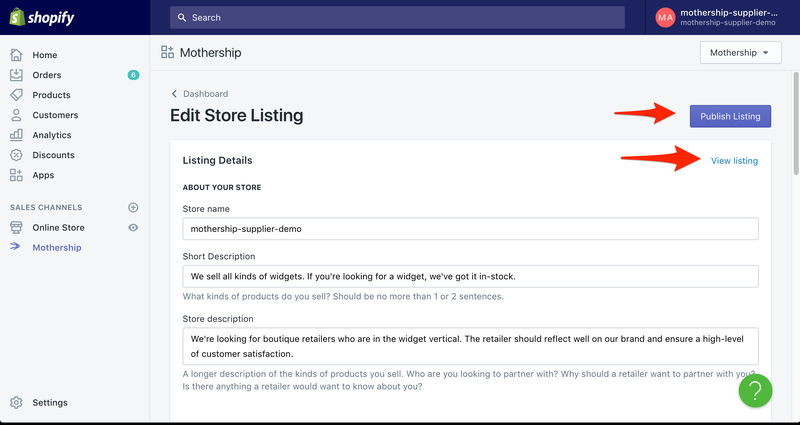 Once you're ready, click on the purple 'Publish Listing' button at the top of the page to make your listing and products visible to retailers.